Flavour: soft and supple in the mouth with discreet hints of spice; smooth and elegant finish. Winemaking and maturation: cold maceration over a period of 48 hours followed by ten days of maceration on the skins in steel tanks. Maturation in 1/3 new and 2/3 used French oak barriques for a period of 14 months. "Wine Spectator" has rated the wine "Elena Walch Ludwig Pinot Nero Alto Adige, Trentino-Alto Adige, Italy" from the vintage 2013 on 30.09.2016 with 91 of 100 points. "Wine Spectator" has rated the wine "Elena Walch Ludwig Pinot Nero Alto Adige, Trentino-Alto Adige, Italy" from the vintage 2012 on 15.10.2015 with 90 of 100 points. "Falstaff Magazin" has rated the wine "Elena Walch Ludwig Pinot Nero Alto Adige, Trentino-Alto Adige, Italy" from the vintage 2012 on 23.06.2015 with 88 of 100 points. "Wine Enthusiast" has rated the wine "Elena Walch Ludwig Pinot Nero Alto Adige, Trentino-Alto Adige, Italy" from the vintage 2012 on 06.01.2015 with 88 of 100 points. "Falstaff Magazin" has rated the wine "Elena Walch Ludwig Pinot Nero Alto Adige, Trentino-Alto Adige, Italy" from the vintage 2011 on 24.06.2014 with 90 of 100 points. "Falstaff Magazin" has rated the wine "Elena Walch Ludwig Pinot Nero Alto Adige, Trentino-Alto Adige, Italy" from the vintage 2010 on 25.06.2013 with 90 of 100 points. "Falstaff Magazin" has rated the wine "Elena Walch Ludwig Pinot Nero Alto Adige, Trentino-Alto Adige, Italy" from the vintage 2009 on 11.07.2012 with 88 of 100 points. "Falstaff Magazin" has rated the wine "Elena Walch Ludwig Pinot Nero Alto Adige, Trentino-Alto Adige, Italy" from the vintage 2008 on 13.07.2011 with 89 of 100 points. "Wine Spectator" has rated the wine "Elena Walch Ludwig Pinot Nero Alto Adige, Trentino-Alto Adige, Italy" from the vintage 2003 on 30.06.2007 with 86 of 100 points. "Wine Enthusiast" has rated the wine "Elena Walch Ludwig Pinot Nero Alto Adige, Trentino-Alto Adige, Italy" from the vintage 2004 on 09.01.2007 with 87 of 100 points. 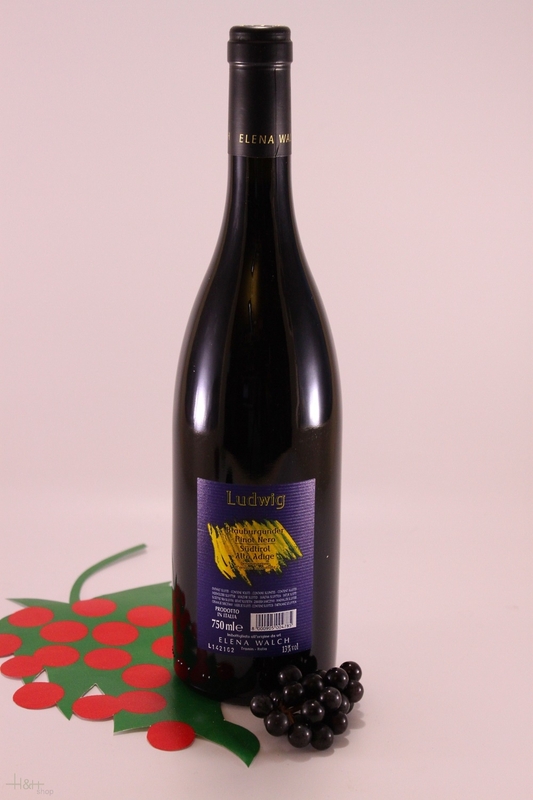 "Vinum Wine Magazine" has rated the wine "Elena Walch Ludwig Pinot Nero Alto Adige, Trentino-Alto Adige, Italy" from the vintage 2002 on 01.02.2005 with 15 of 20 points. "CellarTracker" has rated the wine "Elena Walch Ludwig Pinot Nero Alto Adige, Trentino-Alto Adige, Italy" from the vintage 2012 with 90 of 100 points.